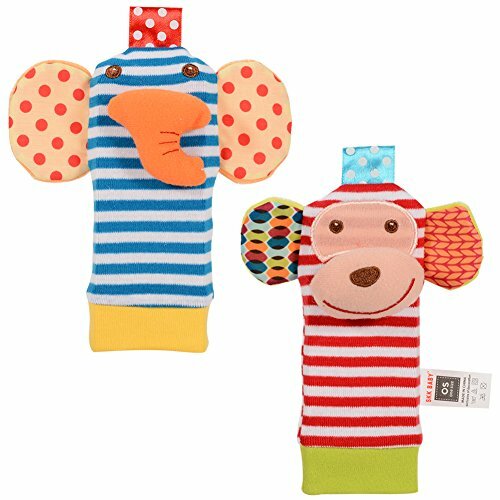 ▲More Reminding: 2 Wrist rattles and monkey foot rattle sock have rattle. The elephant sock has no rattle because of nose. ▲More Enjoyment: Different colors rather than single color, which can catch kids’ eyes. Stripe style rather than single pure style, and have a soft baby rattle sound when waggling. ▲More Care: Made by soft material, which can make babies feel comfortable when touch. The wrist rattles wraps use Velcro attach which can press together and untie easily. 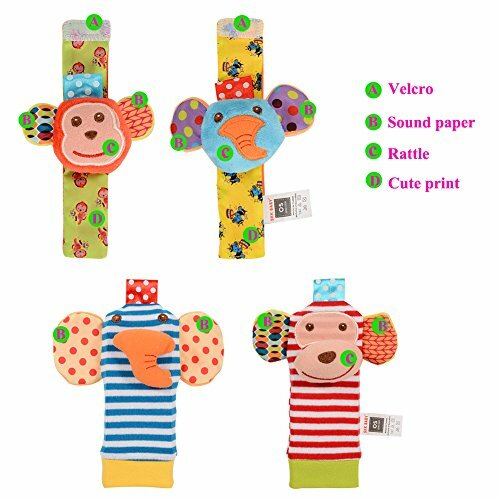 ▲More Benefits: Soft material can make babies touch cozily, the raised elephant nose and monkey mouth can make kids have more enjoyment. The soft sound when waggling can make kids have more interest to play with it. 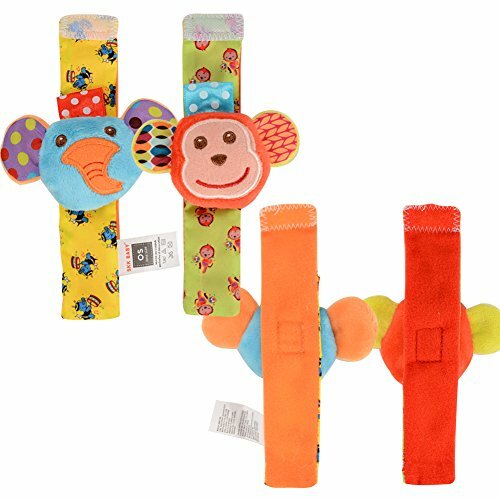 ▲More Choice: ThinkMax Baby Wrist Rattle and Foot Rattles Finder is not only for boy or girl, it’s for any baby or infant. 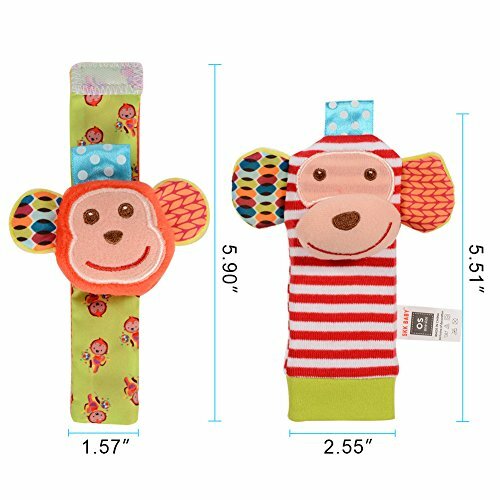 It is a great gift rattle for baby infant or toddler, you will not miss it. ▲NOTE: Please do not take the inside little bell out of the baby rattle, your baby may swallow it, it’s dangerous! 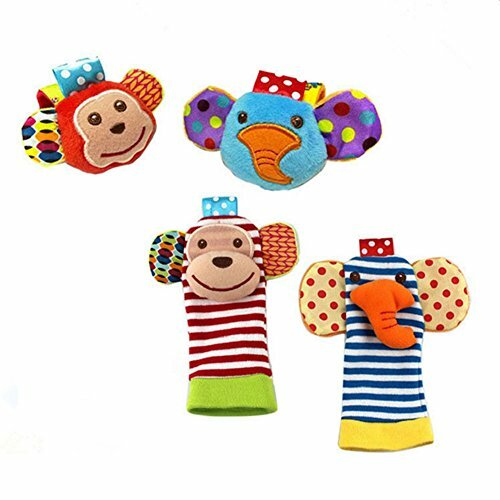 CONTENT : 2pcs hand wrist rattles and 2pcs foot rattles socks per set. Foot rattle sock size:5.51″x 2.55″, Wrist rattle size: 5.90″x 1.57″. 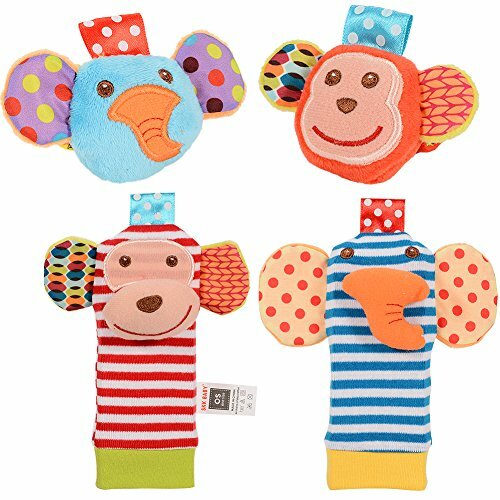 KINDLY REMIND : Both of 2 wrist rattles and monkey foot rattle sock have rattle. The elephant sock without rattle. 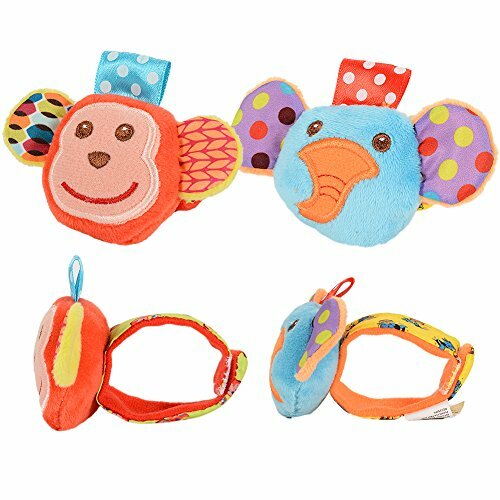 The baby rattles come in a vibrant array of colors and patterns, making it extremely interesting to your baby. BRIGHT COLORFUL DESIGN : These bright colors and designs make this baby rattles easy to find. Bright colors,patterns and smiling animal faces visually stimulate your baby’s vision and focus, encourage baby to touch and explore. 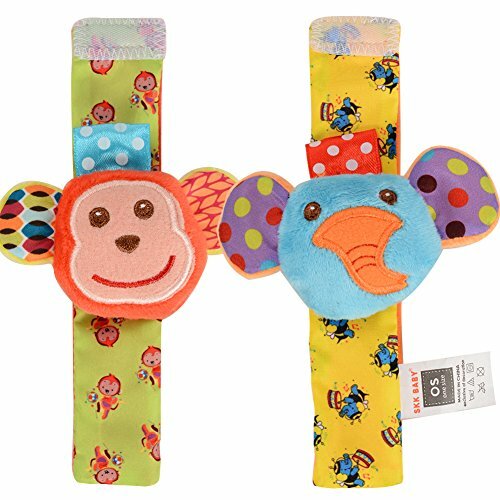 EASY TO PUT ON AND REMOVE : The wrist rattle wraps attach with simple Velcro, so they are easy to put on and remove. 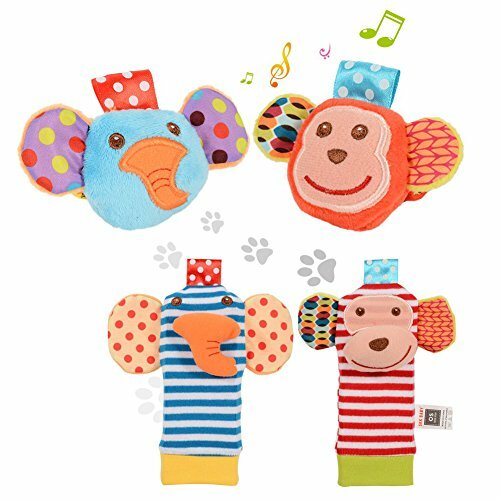 DEVELOPMENT IN FUN : Babies can play with the ThinkMax Baby Rattle for a long time and enjoy the nice sound of the cute animal soft toy. Your baby’s attention and interest will be caught by the soft noise. It is a great baby toy for your babies.